← blog 69: In which I recap 20 things that happened during May and June. blog 70: In which I post a tiny poem from the past. From my 1999 diary, a year before I resigned from my teaching job to try to write my first novel. Like gold foil – delicate and fragile. and glow like the moon. Nothing like setting your writing sights impossibly high. 4 Responses to blog 70: In which I post a tiny poem from the past. when our skins begin to tremble with desire. just like all of your intoxicating rhythms. Oh, i loved seeing this, Michael. I write a lot of poetry, and its a treat to see your first handwritten draft, and its such a beautiful poem. “Glow like the moon” is much better than “shine like the sun” 🙂 I wish more people wrote, read and bought poetry – few bookstores in Sydney or the ACT stock much of it, bar Gleebooks, Better Read than Dead and Kinokuniya. But having owned a bookstore myself, i know why – people just don’t buy it. Writers, especially poets, are of course, mostly too poor to buy the world of other contemporary poets, and because the print runs are small, the books tend to be expensive – usally around the $24.95 mark for a 80-100 page B format. I was heartened though that a poetry book won this year’s Victorian Premier’s award – both the overall prize and the poetry prize! For me, poetry is a ‘have to’. I have to write it, even if I can’t make money out of it, or even if it doesn’t get published. I’m working on a novel now, but i’m well aware i may never finish it. I just love the writing bit, not so much the reworking and editing bit, which is why things stay at first or second draft stage for me and don’t get finished. 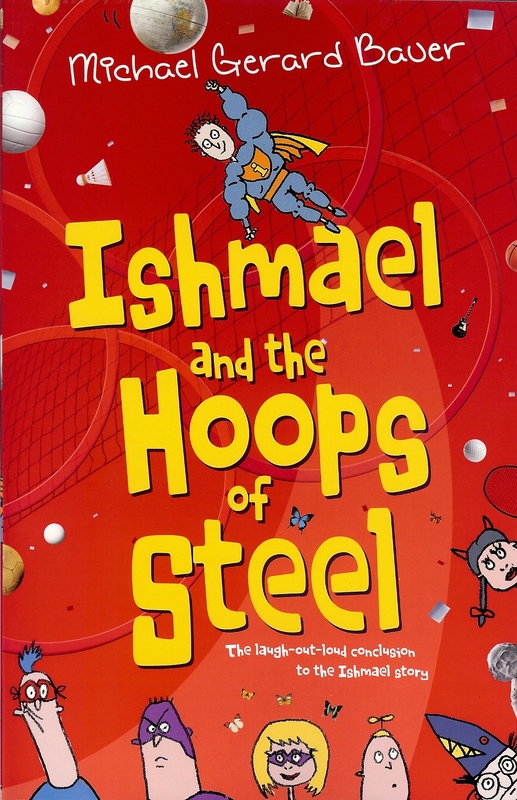 I remember I was working at Scholastic as the marketing co ordinator when Running Man won the CBC and the first Ishmael book was published. We were very excited to have ‘another Michael Bauer’ book to sell! Thanks so much Faith. That was a lovely comment to read. When I had diaries I used to write most of the entries as poems. I love poetry too although these days I don’t read nearly enough of it. And of course, a poem was at the heart of The Running Man.